Some of the most desired 1911A1 pistols made are the Singer 1911 handguns. The Singer Sewing Machine Company was contacted by the US Army for the purposes of determining if the company could be converted to manufacture the handguns in the event of war. 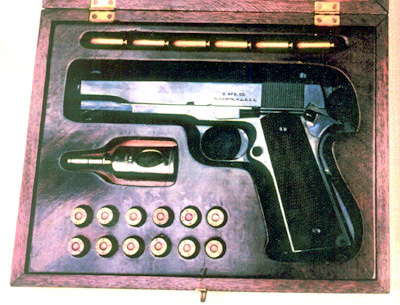 In 1940, Singer produced 500 pistols for the US Army, and an unknown number for employees. Singer was not given a larger contract and these pistols were the only ones produced by the company, making them quite rare.